« We have a wind farm – and it’s the biggest in the world! If you have a wet central heating system and have recently “upgraded” to a more efficient condensing boiler, it’s highly likely that it broke down during the recent big freeze. We read an interesting newspaper article in the Ecopower Heating office this week and thought we would share the story with you. Michael Hanlon, Science Editor for the Daily Mail confirmed what we have always said about condensing gas boilers in an article that details yet another reason why electric heating is the smartest choice. According to the article, British Gas had 60,000 callouts in Yorkshire alone over the cold snap. The majority of these callouts would most likely be for problems with condensing boilers costing the homeowners hundreds of pounds. The problem with condensing boilers arises during particularly cold weather. When the temperature drops, a pipe which drains condensation from the back of the boiler freezes. This causes the boiler to cut out leaving the house cold and the homeowner out of pocket. With some condensing gas boilers costing £2000 or more, the fuel cost savings that you would expect from the efficiency gains of the boiler are totally offset by the purchase price, annual maintenance and inevitable callout charges that will come. If you are replacing an old boiler, or installing a new wet system, you are now legally obliged to fit a condensing boiler thanks to out dated and poorly researched government policy. Claims of high efficiency are now very dubious, and reliability has proven to be extremely poor. Due to outstanding system reliability, we include a 25 year warranty at no extra cost. Thats 25 years peace of mind. No replacement boiler units, no callout charges, no servicing, no annual inspections, no annual insurance or cover plans for a full 25 years! Hmm. That stinks. If you already have one of these newer boilers, can you insulate them somehow so that they don’t freeze? Thanks for the heads-up. There are a few things that can be done to improve the outlet on condensing boilers but unfortunately, no, the problem cannot often be totally prevented. This, and the general unreliability of the newer technology is a real headache. 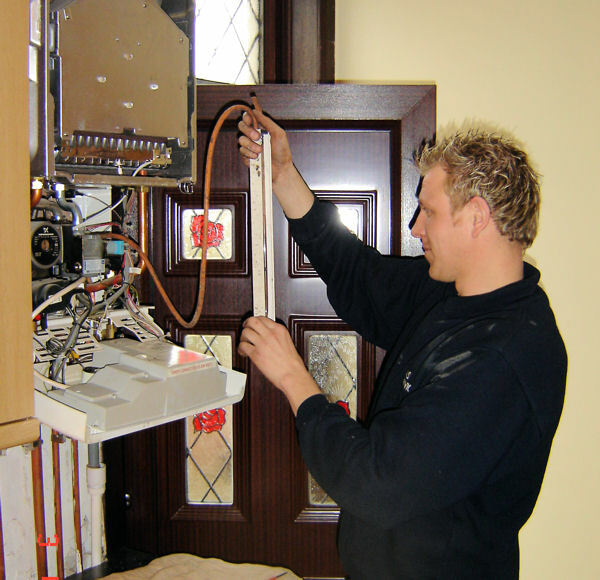 Electric radiators don’t require a boiler, or any plumbing at all. Problem solved! Thanks for your comments. Please subscribe to the RSS for regular updates! Wow, It’s interesting to see the difference with gas boilers and electric heating. it is good to bring out the points on how long these boilers actually last for. The amount you’ll pay, including repairs or replacement … interesting outlook. Thanks for sharing!